Thank you Colin James for such an Amazing Seminar! 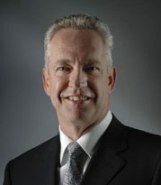 Colin James led one of the most informative and in-depth seminars about the different connections and leads a partnership takes on. From learning the different types of leads to performing one-handed push-ups, the group was engaged and bought into everything Colin said and taught. Pasha Stepanchuk and Anastasiya Danilova featured in the American Dancer Magazine published by USA Dance for their Amazing Result at the Amateur Latin World Championships! Pasha and Nastya made the most out of their first opportunity to compete at a world championship event by placing a remarkable 25th (out of 93) at the 2012 Amateur Latin World Championships in Vienna, Austria. 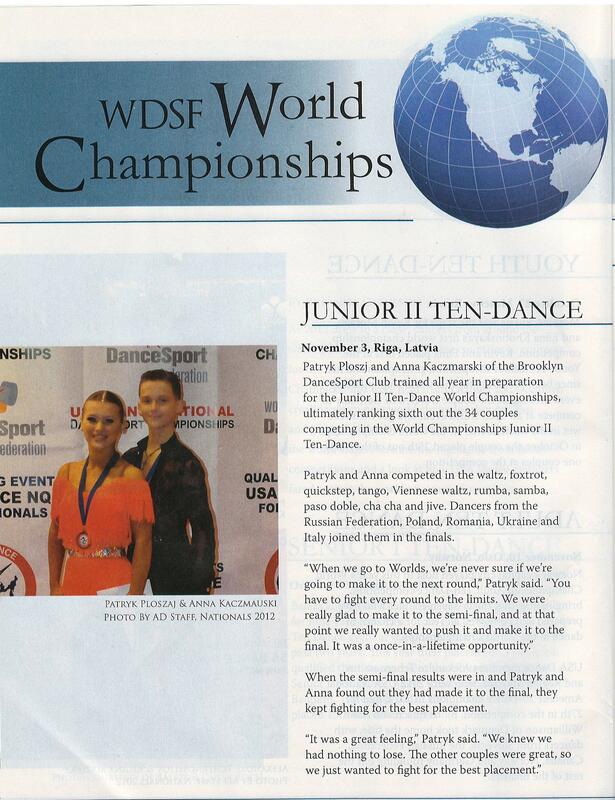 Patryk Ploszaj and Anna Kaczmarski featured in the American Dancer Magazine published by USA Dance for their Amazing Result at the Junior World 10-Dance Championships! Having already become USA National Champions in all 3 categories possible (Latin, Standard, and 10-Dance), Patryk and Anna took their dance career TOGETHER to the next level by becoming Junior World 10-Dance Finalists. 2012, BDSC’s second year in operation, was a year that was filled with a lot of pleaseant results and unexpected surprises. 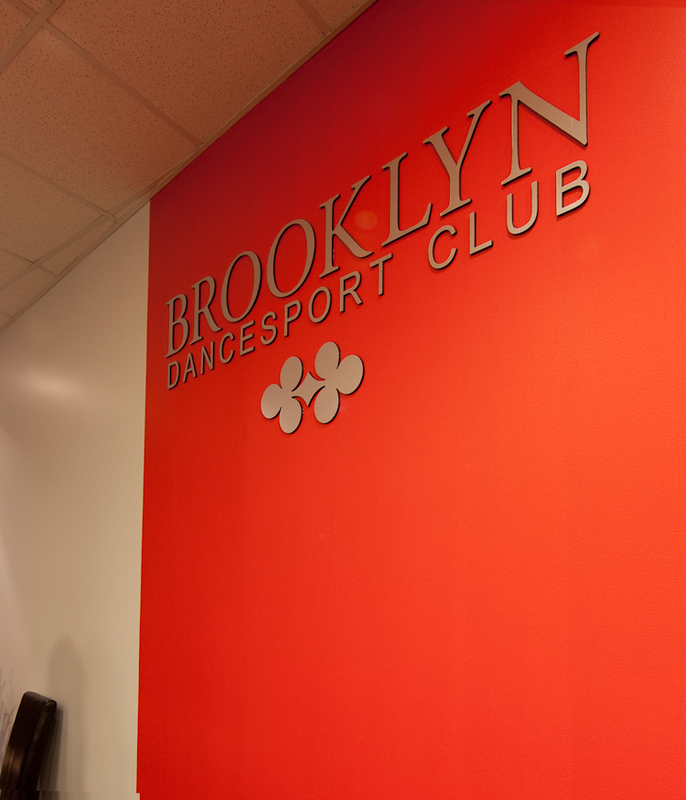 From multiple guest coaches to amazing results by our students, 2012 will be a year to remember for Brooklyn DanceSport Club and all our members! Congratulations to Patryk Ploszaj and Anna Kaczmarski for becoming WORLD CHAMPIONS in the 2012 WDC World Under-16 Junior Ballroom Championships in Paris, France!